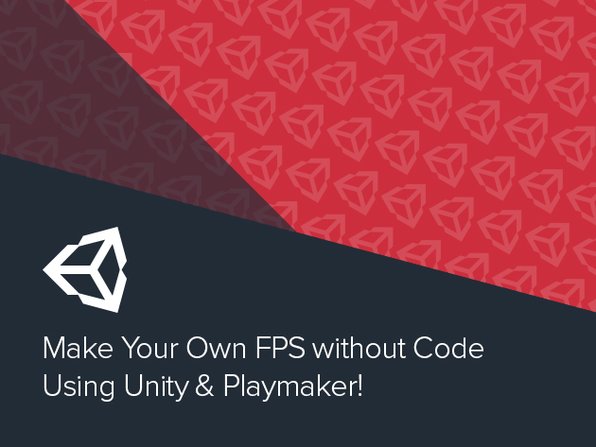 Get started with the most popular game development platform available. In under 3 hours, you'll be on your way to being a pro game developer. If you've ever been curious about creating games or what Unity has to offer, this course provides an extensive overview of everything you need to know. Alan Thorn is a freelance game developer and author with over 12 years of industry experience. He is the founder of London-based game studio, Wax Lyrical Games, and is the creator of award-winning adventure game Baron Wittard: Nemesis of Ragnarok. Alan has worked freelance on over 500 projects worldwide including games, simulators, kiosks and augmented reality software for game studios, museums and theme parks. He has spoken on game development at universities throughout the UK, and is the author of nine books on game development, including Teach Yourself Games Programming, Unity 4 Fundamentals and the highly popular UDK Game Development. For more details on this course and instructor, click here. Become a master game developer by brainstorming code and design solutions through game play and experimentation. Develop skills and techniques, from beginner to advanced, in this full spectrum course. Stone River eLearning is passionate about teaching everyday topics, from technology, to business, to education. For more details on this course and instructor, click here. Learn to build Candy Crush-style 3D puzzle games inside the Unity engine. This course will cover a range of topics including project creation, level design, light mapping, reskinning, animation state machines, and more. Alan Thorn is a freelance game developer and author with over 12 years of industry experience. He is the founder of London-based game studio, Wax Lyrical Games, and is the creator of award-winning adventure game Baron Wittard: Nemesis of Ragnarok. He has worked freelance on over 500 projects worldwide including games, simulators, kiosks, and augmented reality software for game studios, museums, and theme parks. Alan has spoken on game development at universities throughout the UK, and is the author of nine books on game development, including Teach Yourself Games Programming, Unity 4 Fundamentals, and the highly popular UDK Game Development. For more details on this course and instructor, click here. Unity 4 has a wide variety of useful tools for developing games and with this course, you can learn to harness this powerful engine. Explore practical techniques that can immediately be applied to your own games. Christopher Orth is an avid game designer who has worked on many high-profile titles launched on Playstation consoles, PC, and portable devices. He also has extensive experience working as an instructor, team leader, technical artist, web designer, musician, and sound designer. Christopher is currently the Chair of the Digital Media Arts advisory board for Bellevue College, in Bellevue, WA. For more details on this course and instructor, click here. Unity, one of the most popular cross-platform game engines for mobile phones and tablets, is a powerful engine great for both 2D and 3D games. Master all techniques for building best-selling mobile games with this in-depth course.